Another guest post, this time from Roberto Alvarez Bucholska. Leave feedback and show your appreciation – I am sure he would be happy to answer any questions! Business education may sound very formal and boring to many, but there’s no reason why studying an MBA can’t have engaging and fun learning materials. And that’s what I do at IE Business School Publishing. As a project manager, it is my task to take the learning objectives and make materials that are interactive, engaging, and even fun if possible. The department has created around 300 interactive materials in over 10 years of experience. With the development of these materials, and also thanks to the feedback from students and professors, there are many things that have become a common practice in the creative process, and it’s thanks to these that I have encountered what the author of this blog has coined as Game Thinking. In my experience with business students, there is one thing that stands out: Competition. Many things have been said with regards to making use of competition as a motivator, and the fact that there is a large portion of players who are not very moved by it. Nonetheless, within business education, we have found this to be a very compelling and generalized motivator. There are two materials that we regularly use with students that I’d like to highlight to talk about competition, in one of them, teams of students represent different companies that share a resource. Even though within the objective, to maximize profits, competition is not even mentioned, teams assume there is a competition between them, and end up sacrificing profitability due to their competitive attitude. This is of course designed to work this way, and is very useful to achieve the learning objectives of the material, as the facilitator of the simulation explains after the end. The other one is a simulation where teams represent different members of a productive process. The competitive mindset of the teams might end up increasing the costs of the end product, which of course will be bought by fewer customers, and thus end up reducing profitability. If teams were to cooperate in order to reduce costs of the whole process, they’d all end up in the best of situations. Thanks for the read. If you wish to stay in contact, I am currently working on a podcast to interview successful practitioners of games, gamification and game thinking who will bring the best of their experiences to get ideas, insights and inspiration that help us in the process of getting students or trainees to learn what we teach. To participate in its shaping, community or just stay up-to-date, subscribe at www.professorgame.com. 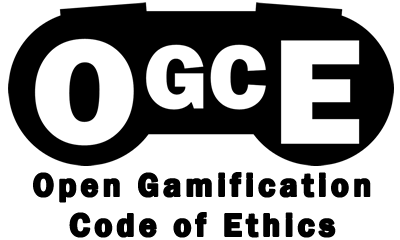 Professor Game at Gamified UK! Next story What Makes a Good Serious Game?